Leading global financial portal Investing.com deploys interconnection and data centre company Equinix’s data centre in Hong Kong to enhance content services experience for Chinese investors and brokers. As the second largest economy in the world, China is home to mature investors and brokers who have a keen interest in overseas and domestic financial markets, while Investing.com aims to deliver fast and stable connectivity to Chinese users. However, the site previously served its customers in Asia Pacific via a data centre in Dallas, the US, causing a latency of up to 250 milliseconds. Hong Kong’s close proximity to China offers an opportunity to Investing.com to provide latest news and market analysis via stable and fast IT services for Chinese users along with their counterparts in the wider Asia-Pacific region. The latency will be reduced to 50 milliseconds, enabling the company to secure more users, more page views, more traffic and ultimately more business. “Delivering IT services that are stable and fast is an essential part of our business. Like our readers across the world, those in Asia-Pacific expect near-instant access to rich and dynamic content, and Equinix is helping us to deliver this experience to our users. 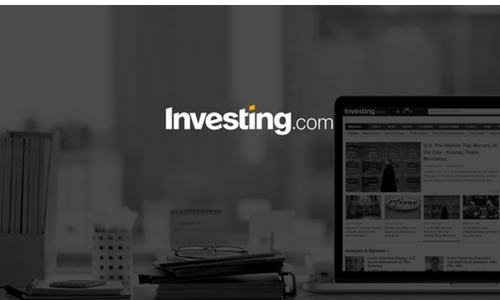 Our deployment in Hong Kong means we have been able to slash latency in the region and seamlessly interconnect to our providers, ” said Gabriel M. Mizrahi, chief technology officer of Investing.com. The hospitality group has appointed Jones knowles ritchie to create the visual identity and hotel collateral for the group’s lates..
Creative agencies formul8 and Type A were picked to launch a marketing campaign on its Jeep Compass. ..
What’s driving adspend this year? Advertising will continue to strengthen over the next three years, with global adspend growth forecast to rise from 3.9% in 2013 t..
Leo Tang named head of Shenzhen to lead the new office. ..